Here are two reasons to celebrate Valentine's Day early. 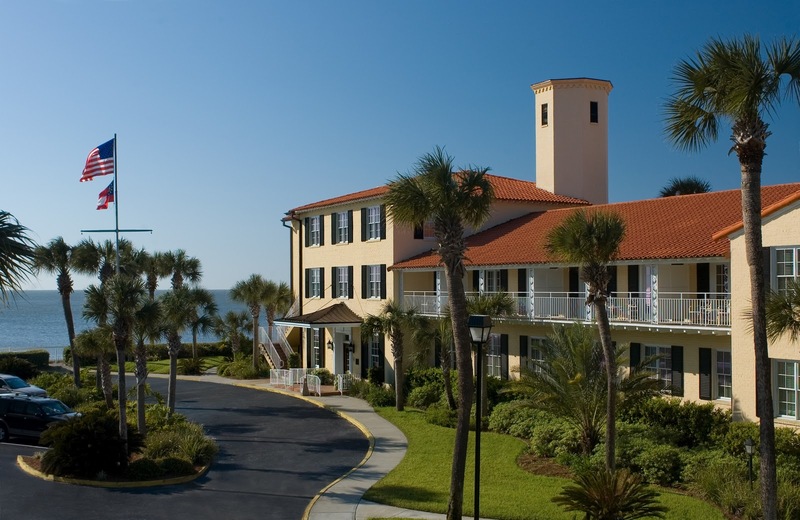 February 1, 2, 3, 4 and 5 rooms at The King and Prince Beach and Golf Resort on St. Simons Island, GA, start at $129 per night. The Grove Park Inn in Asheville, N. C. offers a Classical Romance package Feb.10--12. Start your weekend with an evening of stargazing on the terrace of this historically romantic resort at a Starlight & Chocolate Party. Enjoy dinner in one of the restaurants, a "Spicy" cooking seminar, dance instruction and a Valentine's Dance, which offers the perfect place to fall in love all over again (or for the first time). Two-night weekend packages begin at $768. Rebajas means "sales" in Spanish and January is the month to take advantage of them. Especially when TourCrafters offers a five-day land-only shopping trip in Madrid from $485. So what's to get deals on? Manolos (his mother was Spanish), designer goods at Zara and Mango, leather goods at Loewe and El Caballo, Majorca pearls and Lladro Porcelain, to name a few. What: Four nights at four-star Hotel Vincci Soho (or comparable), arrival transfer, daily buffet breakfast, A tapas Hopping Tour to four bars, including wine and tapas, a tapa and wine at Cinco Jotas Restaurant, a tapa and wine at El Corte Ingles department store - plus a 10 % discount, hotel service charges and taxes. When: Now through Jan. 31 for the $485; Feb. 1-March 31 for $675. Exclusions, small print: Dates good except during trade show and fair periods. Reservations must be paid for within 72 hours of booking. Information and booking: www.tourcrafters.it (click on "Spain"), 800-482-5995.